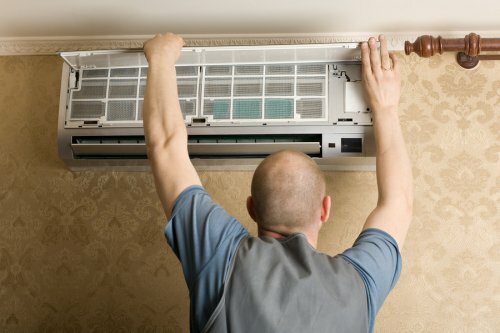 During the summer months, it is important to make sure that your air conditioner is ready to handle increased demand. In this video, you will learn about how air conditioning experts handle cooling system emergencies. Before performing repairs, your air conditioning contractors in Murfreesboro will need to carefully assess the source of the issue. Once the problem has been diagnosed, your technician will be ready to start the repair process. There are several cooling issues that always need to be handled by professional air conditioning contractors. A failing capacitor, for example, requires special tools to be repaired. HVAC professionals can also diagnose a failing contact or other electrical issues that you might not recognize on your own. A quality cooling or heating installation in Murfreesboro will make your home substantially more comfortable and efficient, but not everyone is prepared to spend the money to outright buy the necessary appliance. If you’re unsure of how you will pay for your heating system , you can feel free to talk to the team at Quality Heating & Air. We can help you figure out how to finance your new system. From TVA Energy Right to GEO Smart, there are a few options to choose from if you want to make your home as livable as possible without draining your bank account. Read ahead for a look at financing offers through Quality Heating & Air. If you set out to buy a heating system but you realize that the costs are adding up quicker than you expected, you shouldn’t feel like you’re completely out of luck. 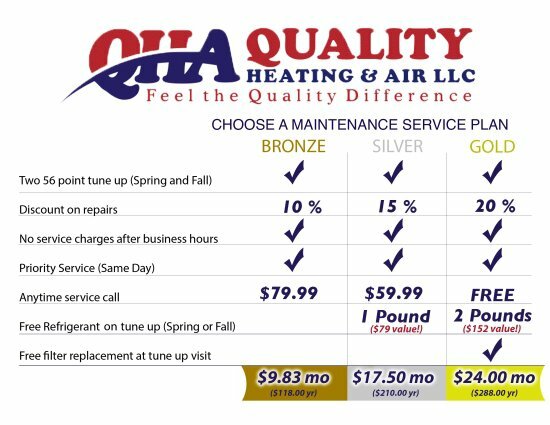 At Quality Heating & Air, we are happy to help you find the right type of payment plan for your needs. Our team of professionals can help ensure that you get the heating system that you need for your home and family under payment conditions that work for both sides. There a few different ways to go about financing your new heating system, and the TVA Energy Right loan program may be among the most desirable. This type of financing plan affords you fixed rate loan terms for a full decade, and you can finance up to 15,000 dollars. Your TVA Energy Right agreement can also handle installation costs. You can typically find out if you’re approved for this type of loan in a half hour or less, which is great if you are in a rush to get your heating system installed in your home. Sometimes you just can’t wait to get your new heating system installed, and the GEO Smart program is sensitive to your urgency. This program will also offer you a few different options, and you’ll just need to provide some basic information. Then you can benefit from low rates, professional expertise, and unsecured loans. Do You Need a Furnace Replacement This Winter? Winter has arrived, which means that you’ll soon be turning your furnace on for the season, if you haven’t already. If your unit breaks down this season, you and your family will be left in the cold until you can get a new one installed. You can help prevent this situation by assessing your furnace for signs that it should be replaced before the coldest part of winter arrives. Here is a look at the signs that you should arrange for heating replacement in Murfreesboro . The expected lifespan for a heating system is 10-15 years. If your furnace is older than 15 years, it may be time to consider replacing it. In addition to preventing a complete breakdown in the middle of winter, installing a new heater to replace your older unit can also provide an efficiency boost; furnaces tend to become less efficient with age, and newer units are often much more efficient than their predecessors. Have you had to schedule heating system repairs several times in the past few years? If so, then your unit may be reaching the end of its functional lifespan. 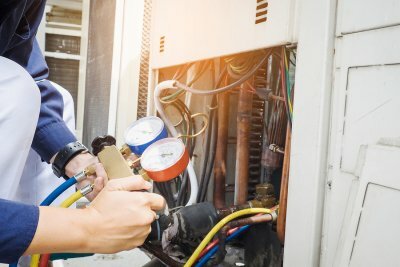 In addition to risking a mid-winter furnace breakdown, you may also be wasting money by repeatedly repairing a unit that may not be functional for much longer. In this case, investing money in a new unit is often the best option, rather than continuing to spend money on an aging, inefficient furnace. If you have noticed that your home is experiencing uneven heating, then it may be a sign that your heating system is starting to fail and should be replaced. You may also notice rising utility bills, which can be a sign of inefficient furnace performance. Noisy heating and a furnace that cycles on and off very frequently can also be signs that your heater is starting to fail. Quality Heating & Air is not your average HVAC company. For starters, Quality Heating & Air has been in the industry for nearly two decades. You can count on upfront, flat-rate pricing for all your residential HVAC maintenance and repair needs. The owner, Chad Williams, is a certified HVAC contractor, licensed electrician, and master plumber—which means Quality Heating & Air has you covered. Watch this video to learn more about what to expect from Quality Heating & Air. You can count on Quality Heating & Air for all your heating and cooling needs. The experts at Quality Heating & Air can also help with water heater repair, maintenance, and installation. There’s a reason Quality Heating & Air was voted Favorite Heating and Air Company of Rutherford County three years in a row by the annual Ruthie Awards. Call or click today to find out why for yourself! There are typically a few different ways that you can tell if an appliance is nearing the end of its working life; your refrigerator may fail to keep your food fresh or your oven may be unable to keep its temperature. Like these other appliances, your heater will begin to give you notice that it is in need of replacement or heater repair in Murfreesboro. Keep reading for tips on spotting the signs of a malfunctioning heater. Your heater is an integral part of your HVAC system and it plays a critical role in keeping you comfortable and warm throughout the colder months of the year. However, no appliance is indestructible. You can usually tell when your heater is malfunctioning by gauging your own comfort level. If your heater completely stops producing and distributing heat, you will likely notice because you will feel cold. If you are experiencing heat but you are not adequately warm, this is another sign that you need to call for heater repair. Your ductwork may also leak, which can affect the distribution of air in your home. An HVAC company can efficiently take care of these kinds of heating repairs. Your furnace is responsible for keeping you and your family warm and comfortable during the chilly winter months. 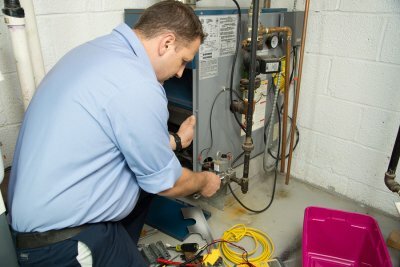 Over the years, your furnace may require routine heating repairs. As your furnace operates during the winter season, its many sophisticated components will experience natural wear and tear. With proper heating repairs from a skilled HVAC contractor, you can keep your home’s furnace in safe working condition. A company offering furnace repair near Murfreesboro can ensure that your furnace unit is in terrific working shape for the upcoming winter season. 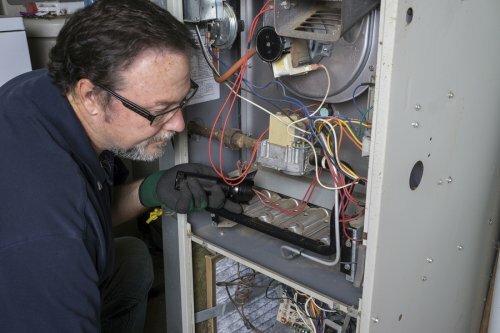 To identify when it’s time to schedule furnace repair, here is a look at some of the warning signs that your furnace is experiencing problems. The age of your furnace can help you determine when it is time to schedule repairs . Typically, an average furnace will have a lifespan of up to 20 years. 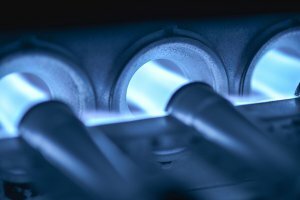 If you have been operating with the same furnace for more than two decades, there is a good likelihood that your unit is in need of heating repairs. In some cases, furnaces of this age may need replacement. When your energy bills spike sharply during the winter months, this is a good indicator that your furnace may need repairs. If the components of your furnace are having trouble, your system may not be able to heat your home efficiently. With quality furnace repair services from a highly rated company, you can restore the performance of your furnace, while also cutting back on your high energy bills. As the components of your furnace fail to work properly, they may begin to generate strange noises and sounds. For example, you may hear clangs, rattles, or pops coming from inside your furnace unit. Any noises that are out of the ordinary may indicate the need for repairs. Your technician can diagnose and repair the source of your furnace noises.